In November, voters could once again make the penalty for stealing a gun a felony. Before Prop 47 was approved by voters in 2014, anyone who was caught stealing a gun would receive a felony charge for doing so. Now, after the measure, people who steal guns only receive a felony charge if the gun costs more than $950. If it costs less than that, it is considered a misdemeanor offense. “Most handguns cost less than $950 dollars, so it's a misdemeanor,” California Assemblyman Jim Cooper (D) of Elk Grove said. 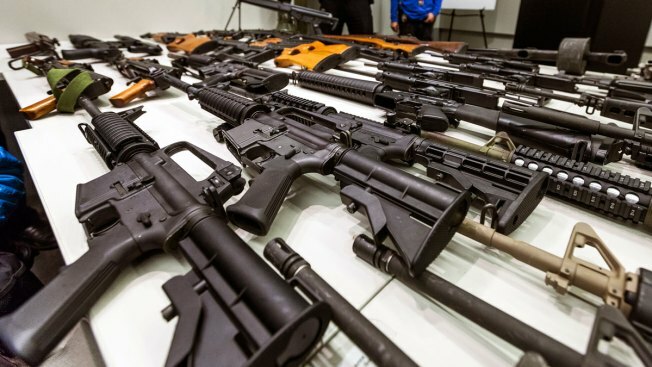 In California, almost 70,000 guns were reported lost or stolen between 2010 and 2015. In that period, data shows 2,600 were used in crimes. A number experts argue is likely much higher. NBC 7 Investigates has been tracking lost and stolen guns throughout California. To see the complete series, click here. Cooper says California already has the strictest gun laws in the nation. He proposed a package of bills to state lawmakers in an effort to cut down on the amount of gun-related crime across the state. Some of those passed last month, including one that is aimed at cracking down on firearms known as "ghost guns.” Plastic firearms that can slip through metal detectors and are currently untraceable. His bill would change that, requiring people who make homemade guns to apply for a serial number for the homemade weapon and pass a background check. Under the bill, they have until 2019 to do so. Another bill proposed by Cooper did not pass. It would have increased the penalty for stealing a gun. Governor Jerry Brown vetoed it, saying it is nearly identical to parts of Proposition 63, Lt. Gov. Gavin Newsom's ballot initiative, which will appear on the ballot this November. Cooper says it will take more than passing bills though.